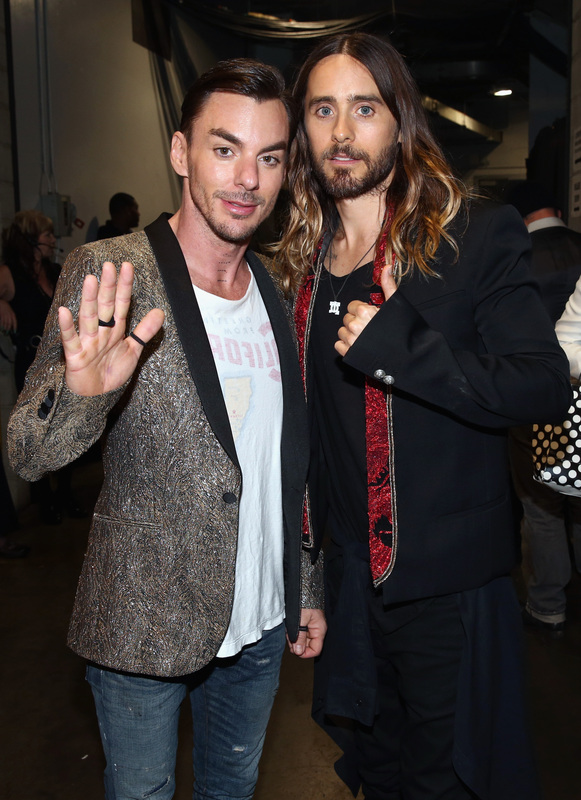 How Will Oscar Winner Jared Leto Juggle 30 Seconds to Mars Tour & Acting? From the moment Jordan Catalano snagged a microphone and crooned his particularly shruggy rendition of The Ramones' "I Wanna Be Sedated" on My So-Called Life , it was clear that Jared Leto was angling for a music career. Now, 20 years later, the actor shows no signs of letting up on that dream — even after receiving an Academy Award for Best Supporting Actor in The Dallas Buyers Club : Today, his band 30 Seconds to Mars announced a 25-date cross-country tour this upcoming summer, headlining alongside fellow hard rockers AFI and Linkin Park. Beginning in West Palm Beach, Florida on August 8th, the "Carnivores Tour" will hit 15 states in six weeks, in addition to shows in Montréal, Winnipeg, and Toronto. The band also has plans to play in Venezuela and Ukraine, two countries whose political unrest Leto notably mentioned in his acceptance speech. Given Leto's recent Hollywood success, it might seem strange that he's swerving so far into his music — isn't this the time for post-Oscar glow, for talk show rounds and cachet-driven roles? Then again, he did take time when on the Academy's stage, trophy in hand, to thank his brother Shannon and plug their band; clearly, 30 Seconds to Mars was still very much on his mind. Plus, Leto's always been a bit of an envelope-pusher: My stomach still churns at the thought of him chugging pints of melted-down Haagen Dazs in order to bulk up enough for the role of Mark David Chapman in Chapter 27. Hopefully the "Carnivores Tour" will be less grueling (though with a name like that, who knows) — and maybe, just maybe, he'll whip out a little Ramones for all us fangirls back home along the way. Given his repeated bungling of lending visibility to the trans* community this past awards season, he owes us at least that much.